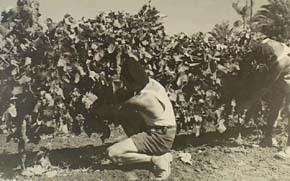 The images in this slide show are used with the permission of the Australian War Memorial in Canberra. 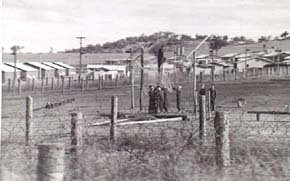 The Camp was built in the outskirts of Cowra. 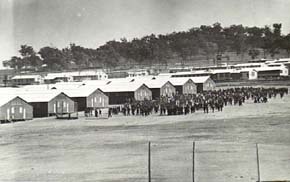 It was large and held 4,000 prisoners and at one stage held civilian internees. 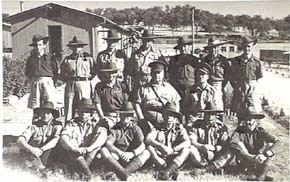 Its official name was the Cowra PW and I Group meaning Prisoners of War and Internees Group. 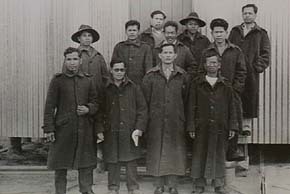 The Guards at the camp were mostly ex World War I soldiers together with other soldiers or civilians who enlisted but were either unfit for active service or too old. 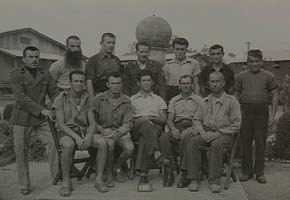 Their role was to guard the perimeter of the camp and also supervise the POW on work parties. 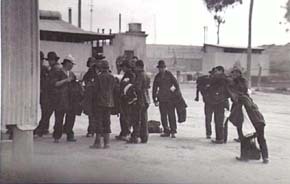 After the North Africa campaigns 18,000 Italian prisoners arrived in Australia. A small group were hard line fascists. The others were friendly and generally trustworthy and hard workers. ....and cut down trees for firewood. 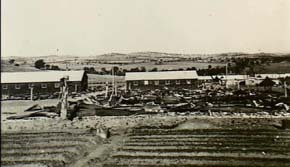 A large number of Indonesian men, women and children were also interned at Cowra. There were 1200 in all. They were imprisoned by request of the Dutch Government. The parents and adults were nationalists and had ben involved in an uprising. 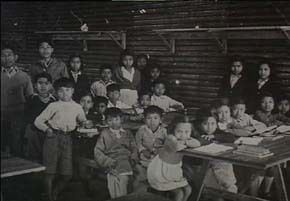 They had been imprisoned in Dutch camps in Irian Jaya (Dutch New Guinea) since 1927. 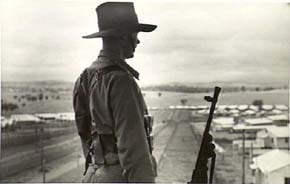 The Dutch who controlled Indonesia thought they would join the invading Japanese and asked the Australian Government to imprison them. 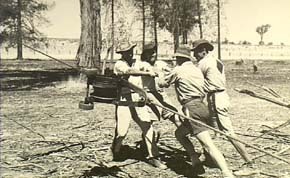 The Australian Government realised they were in fact political prisoners and as this was illegal under Australian law, they released them and they were taken to Queensland - a climate more suitable for them. 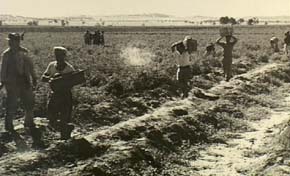 They worked on farms in freedom and returned to Indonesia after the war. 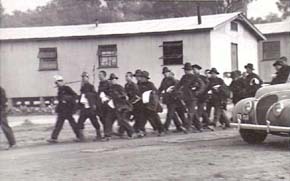 As the war in the Pacific progressed some Japanese became prisoners. Most ended up in Cowra and Hay. 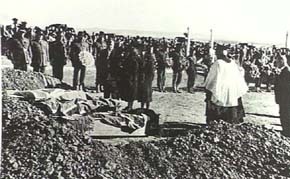 Some had been wounded or were sick. Many remained fanatical but others were pleased to have been taken out of the war. Early in the morning on the 5th August 1944 over 1,100 tried to escape. 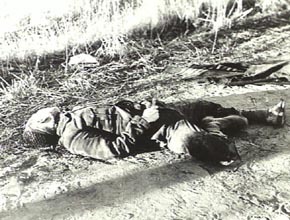 They raced headlong into machine gun fire・any died.ome took their own lives. 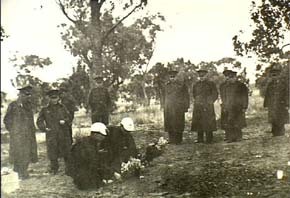 In all 234 Japanese died and 4 Australians. were posthumously awarded the George Cross for staying with their Vickers Machine gun to protect the camp. 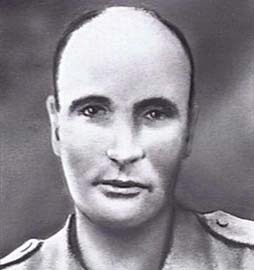 Private Charles Shepherd was stabbed in the heart. 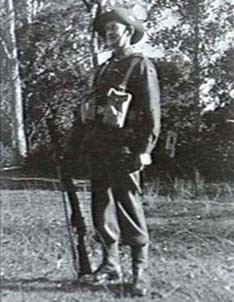 The military authorities decreed that none of the soldiers could be armed when looking for Japanese….a decision which probably cost the life of Lt. Harry Doncaster who was ambushed and killed by escaped Japanese many kilometres from Cowra. 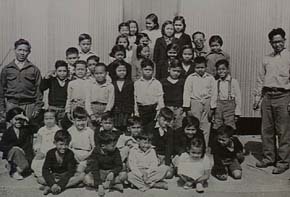 ・・・nd so too were the Japanese. 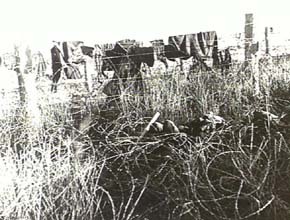 Much of the Camp in B Compound was burnt and wrecked. 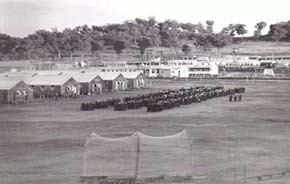 The camp continued to operate until the last prisoners were repatriated to Japan and Italy in 1947. 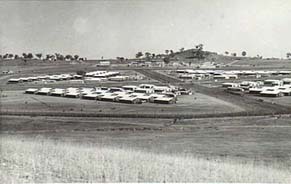 The camp area is now a popular place for visitors to Cowra. Or Click Here to return to Cowra Shire Council's Website. These upper photos and sentences are all from the web-site of Cowra Shire Council. The Original Copyrights belong to it.